The Cromwell Direct Property Fund (DPF / Fund) met a significant milestone in the 2018 calendar year, reaching five years since it was established in August 2013. Since inception, DPF has gone through significant change, both through capital growth and asset acquisition. Five years on, we revisit DPF’s objectives and current portfolio. DPF’s key objective is to provide investors with a monthly tax advantaged income stream, combined with the potential for capital growth through investing in a diversified portfolio of quality property assets. Initially, the portfolio achieved this through an investment portfolio which consisted only of units in Cromwell’s four unlisted trusts. This was a win-win for both DPF, which was able to kick off with an indirect portfolio of quality properties, and for trust investors, who had the comfort of some measure of liquidity where previously there was none. On inception, DPF was forecast to purchase approximately $26 million of trust units as investment increased. Jump to 2019, where gross assets of DPF are now valued at approximately $260 million, comprised of units in the trusts valued at approximately $62.5 million and a direct property portfolio consisting of five quality assets valued at approximately $184 million. Direct gearing remains at a very conservative 18%, and look-through gearing at 27.3%. The Fund’s objective aligns with DPF’s investment philosophy, which is to target properties with reliable long-term rental income backed by high quality tenants. As a testament to the quality of tenants, overall property occupancy sits at 99.4% and the WALE is now at 9.0 years. The ideal property targeted by DPF is either a commercial, industrial or retail property, valued in the $20 - $60 million bracket and tenanted by either government, ASX-listed or quality privately owned companies. Property has been increasingly expensive in major cities ever since DPF’s inception. This has resulted in the investment team looking, and successfully acquiring, assets outside of capital cities in either fringe CBD locations, satellite cities or regional centres to meet these guidelines. Looking to regional centres has also benefitted DPF by providing greater geographical diversification, with assets now held in Queensland, Victoria, South Australia and the ACT. 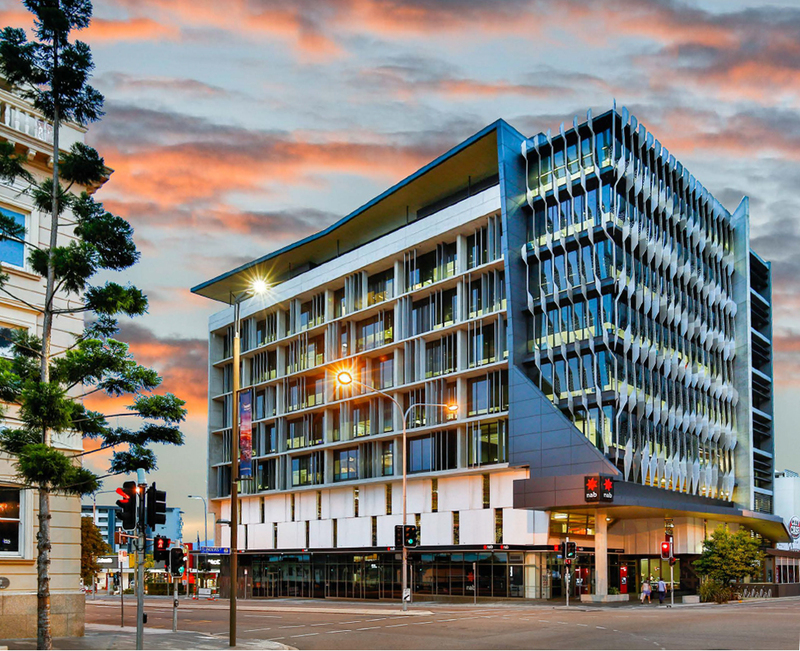 As an example, DPF’s most recent acquisition, 420 Flinders Street, Townsville, is fully leased with the major tenant, Queensland Government-owned energy provider, Energy Queensland, providing 93% of the property’s income, and approximately 20% of DPF’s overall income. The lease to Energy Queensland is 15 years in duration, with the overall property WALE of 9.6 years contributing positively to DPF’s overall WALE of 9.0 years. Unlike many direct property funds that are characterised by a fixed investment term with no formal available withdrawals, DPF provides a monthly liquidity opportunity. This is because it holds a portion of its holdings in cash. Monthly income and liquidity appeals particularly to investors where regular cashflow is central to their objectives. If you would like further information on investing into the Cromwell Direct Property Fund, get in touch with Cromwell’s Investor Services Team on 1300 268 078 or go to the Fund’s webpage at ww.cromwell.com.au/dpf. Up to date information on DPF can be found on the Fund’s website in the ASIC Benchmarks and Disclosure Principles Regulatory Guide. This document is updated when material changes occur within the Fund, and should be downloaded in conjunction with the Fund’s Product Disclosure Statement before making an investment into the Fund.